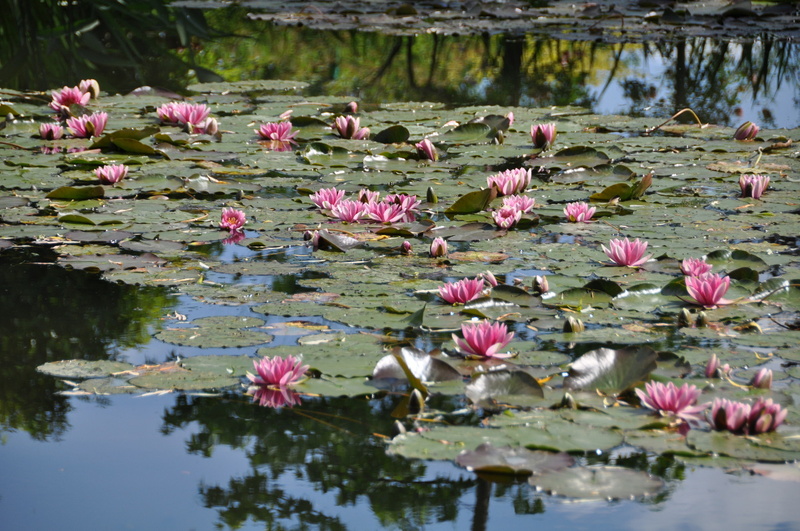 This is how the water lilies are blooming right now at Giverny. Pink, salmon, yellow, white. For more pictures of Giverny, you may also enjoy my photo gallery Giverny Photo and, even if you don’t read French, my other blog Giverny News that I’ve been writing for 8 years. I would like to dedicate this post to Marjorie, whom I met this week in the garden while I was photographying for the blogs. 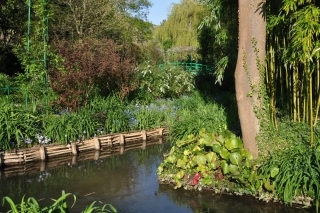 Marjorie is a painter and gives painting classes in Monet’s gardens after closing time. She came to me, ‘Are you Ariane?’ She wanted to say thank you for the blog. 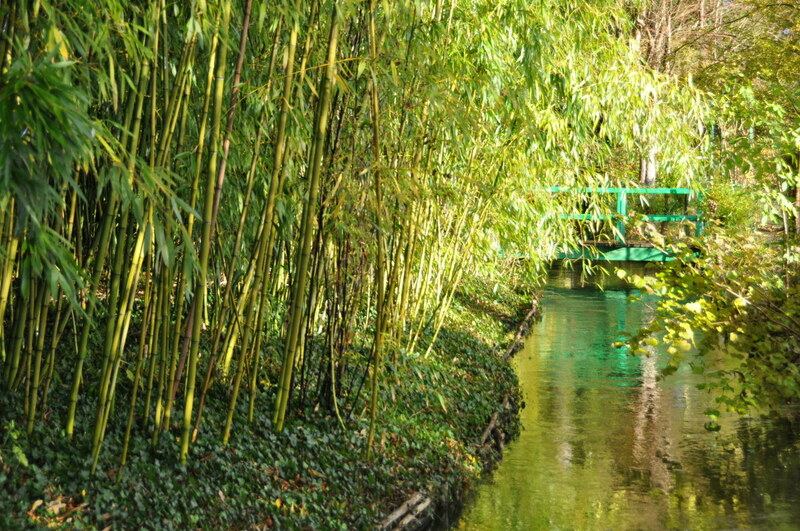 You know, Giverny is a little heaven. Minutes ago, I was sitting in the garden waiting for a cloud to go away from the sun, and doubting. Is it still meaningful to go on with the blogs? When the sun came back, I got up for more pictures, and I met Marjorie and her gratefulness. She came to me like an angel. Life has the answer, when we ask a question. I’m grateful to you, Marjorie. The golden bamboos planted by Monet on the island of his water garden at Giverny reflect into the flowing water of the rivulet le Ru, producing ever changing broken lines. 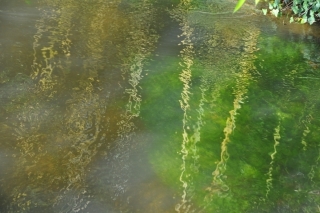 Under the surface, the bright green of algaes. 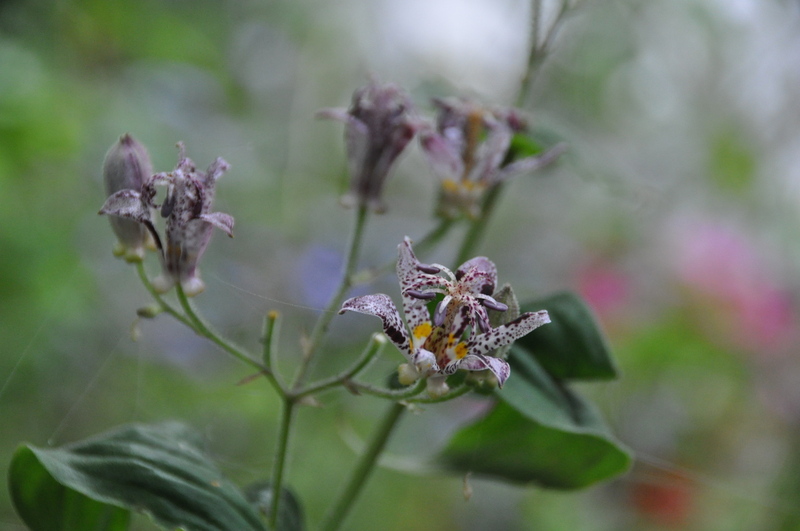 The common name of this beautiful flower that grows in Monet’s water garden is a bit strange: it’s called toad lily. 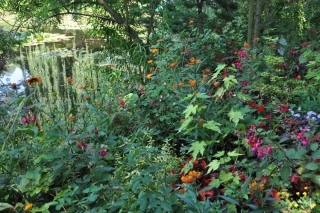 The appearance of this perennial is more orchid like. 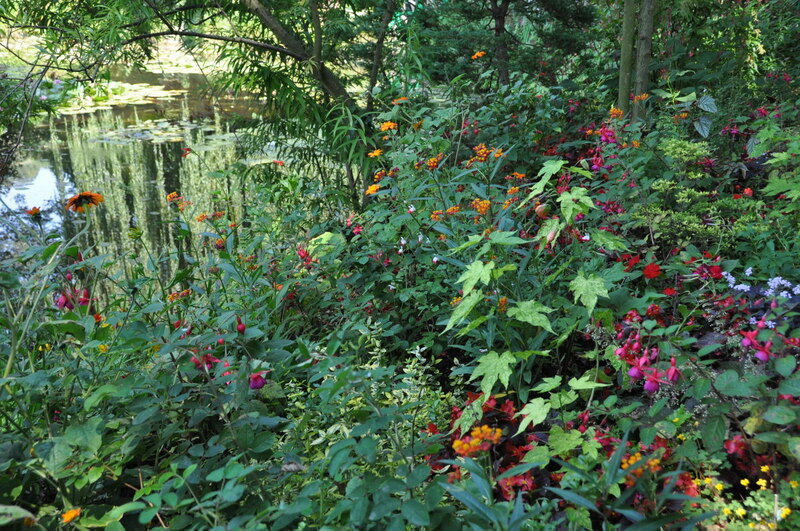 It requires a moist soil, as do toads, part shade under trees, and in these conditions it is very hardy. The tricyrtis appears late in season. 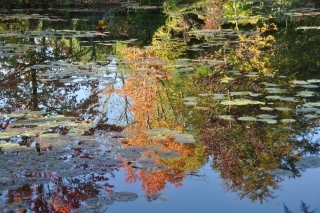 On the 30th of October, the perfectly serene pool in Claude Monet’s garden offers a mirror view of the world around. 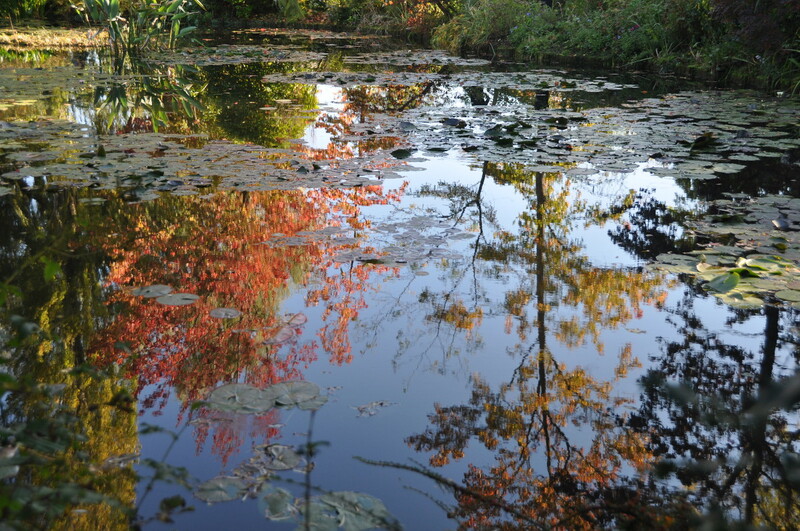 Blue sky and turning trees create a bold contrast between the still floating water lily pads. (Click on the picture to enlarge). 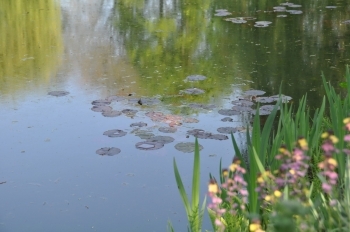 An unusual light on Monet’s water lily pond, while big dark clouds are loaming ahead… Just time enough to walk around the pound, and the drops will start to fall on the surface of the pool in hundreds of little circles. 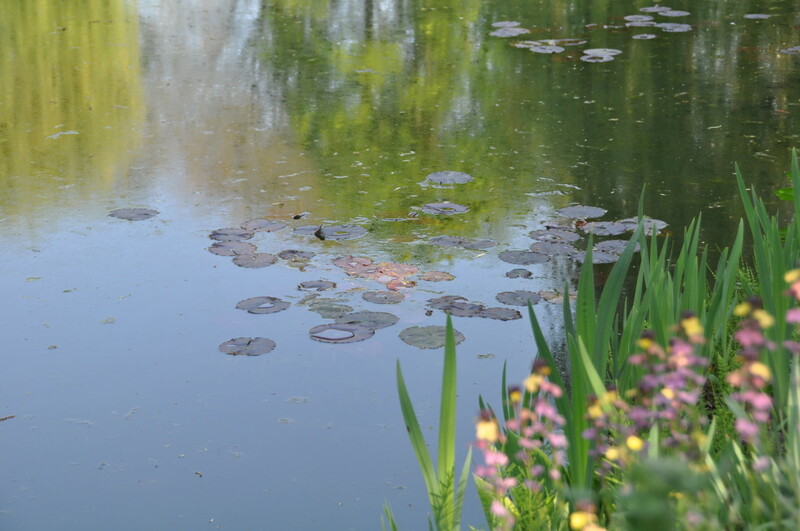 Water lily pads floating on Claude Monet’s pond at Giverny have a strange ability of changing their color. When they first pop they are purple, like the ones upside down on the pic. The sunlight turns them green. 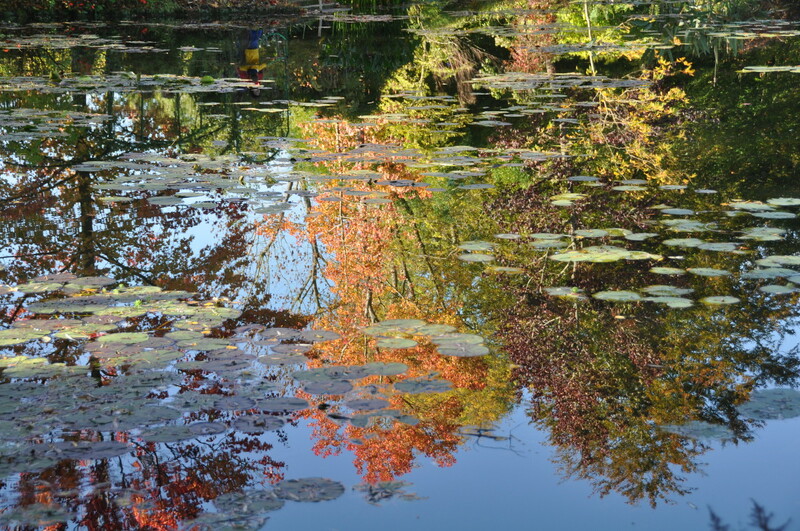 Claude Monet, who was a good observer of his garden, had noted these two colors. 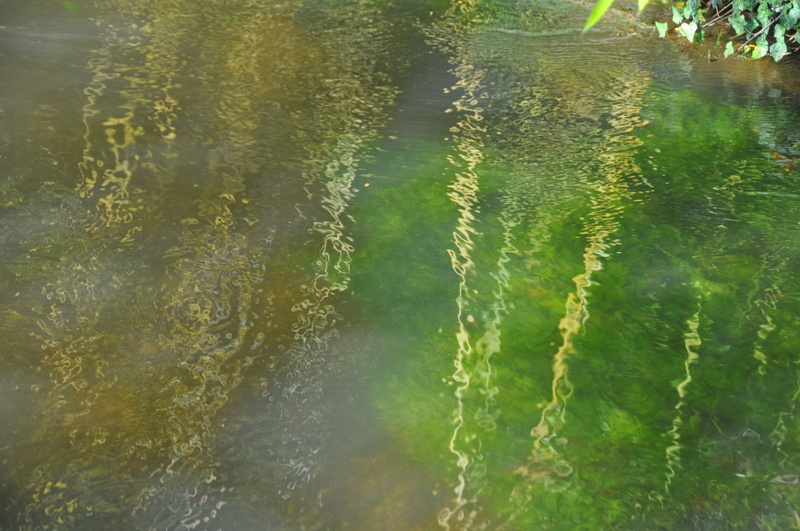 On some of his Nymphea paintings he made them green with a purple circle around. 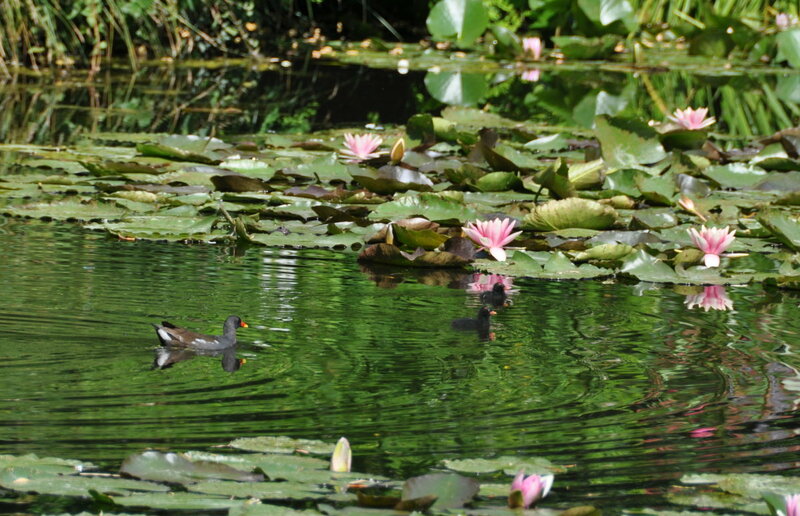 Here are the moor hens living on Claude Monet’s pond at Giverny. 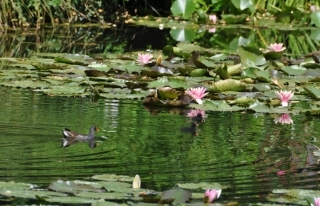 Every year, they nest on the island in the middle of the pond, or in the shrubs around. After a few weeks, they appear on the water with their adorable little chicks, five of them generally. 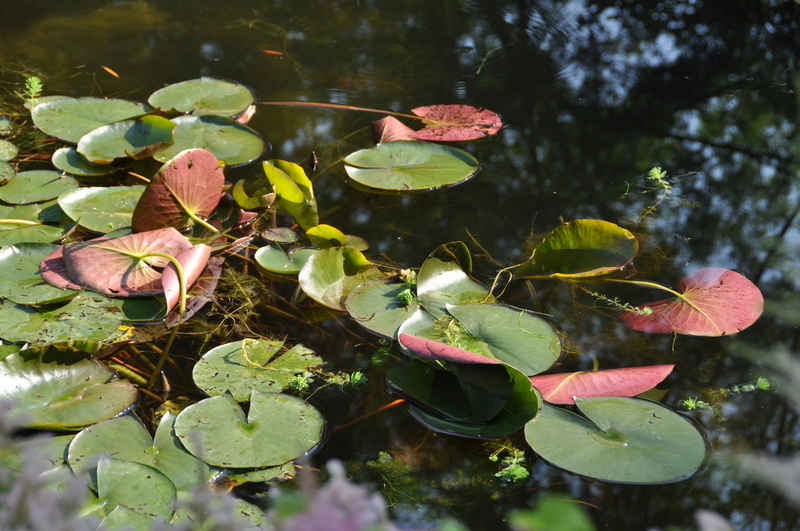 They are so sweet, light enough to walk on the lily pads. Both parents take care of them. But it won’t help. Because we are human beings with a memory, we know what’s going to happen next: the ducklings will end in the belly of the pike living in the pond. This is the cruel story that repeats every year. But because they are moor hens, and have not much space for brains in their head, they forget every year and keep nesting on the same location. This afternoon two of the smalls only were left. This is Monet’s pond at Giverny seen from the Japanese Bridge in May, when the wisterias are in bloom. The water lily pads float like islands on the surface. No flowers yet. Short before closing time, visitors are few. The late afternoon sunshine enlightens the trees on the eastern side of the pool. 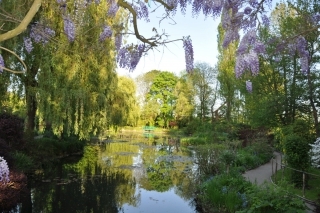 Silence falls on the garden. 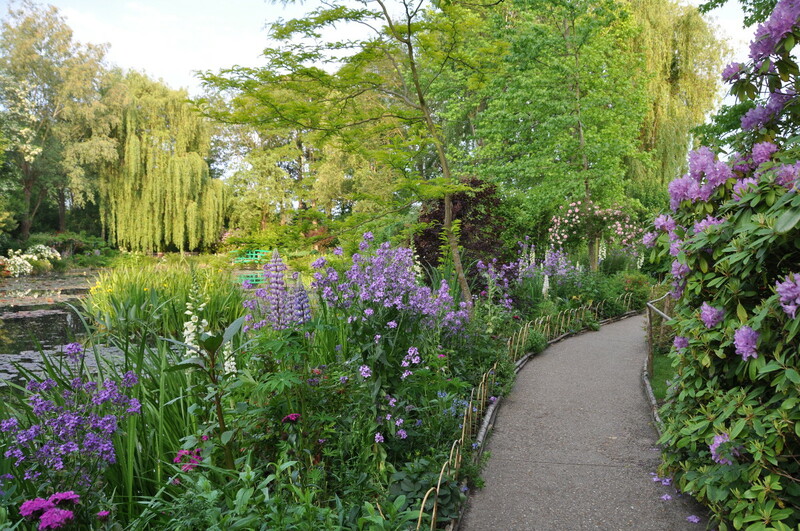 The scent of the flowers is in the air. 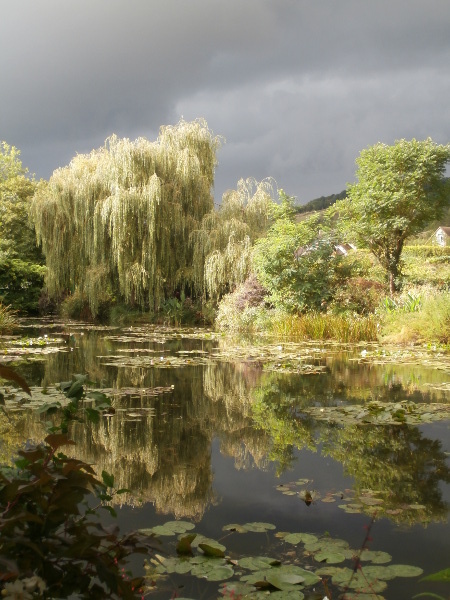 I have eventually gathered my favorite pictures of Giverny into a photo gallery. Season after season, Monet’s water garden and flower garden change a lot. I like early morning atmospheres as well as rainy days, bright sunshine or sunset. 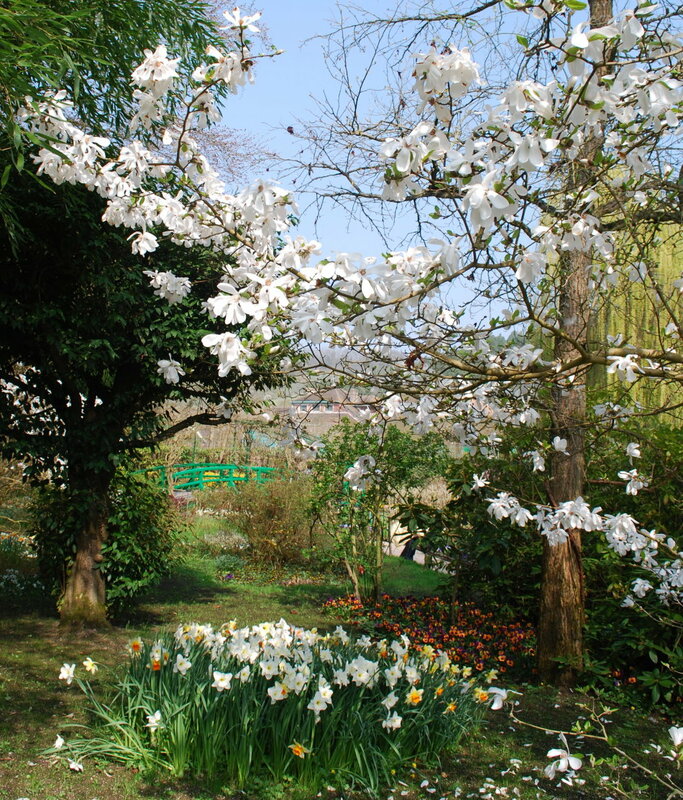 I like the snow white garden. 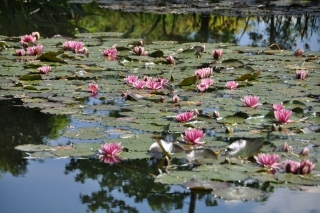 I like roses and nympheas. I like the colors of autumn, the stunning reflections on the pond. I hope you will like them too. If you’d like painting after my pictures, please feel free. I would be happy to see your work.